The Spanish Foundation for Diabetes recalls that it is necessary to follow some rules to enjoy the Camino de Santiago with total security and enjoy it to the fullest. The dissemination of physical activity among people of all ages is one of the greatest challenges in our society; The daily routine brings us closer to sedentarism, a habit that is dangerous for our health. Exercising daily brings great benefits to anyone, regardless of age or physical condition, but it is even more so for people with diabetes, a disease that does not prevent them from participating in physical activities such as walking the Camino de Santiago. However, being able to overcome this challenge for a diabetic entails a series of principles that must be taken into account in order to control the disease and enjoy 100% experience. First, the experts of the Foundation for Diabetes recommend a physical preparation of about three months for the diabetic pilgrim with a progressive and regular training adapted to the physical and age conditions of each person. At the same time you must visit the doctor to inform you, ask you for nutritional advice and adapt the treatment to these conditions. Finally, diabetics are advised to see the need to take a plane to get to the beginning of the Camino de Santiago, which is essential to carry a medical report that proves that we suffer from the disease and that it is necessary that we carry with us several tools, such as The glucometer, insulin pens, continuous glucose meter, etc. No less important for the diabetic who wants to travel the Jacobean route is what to carry in the backpack to make the Camino de Santiago. It is important to carry enough insulin for the total number of days that we are going to walk, plus an extra amount and a glucagon kit. As recommended by the Foundation for Diabetes, it is also necessary to carry a portable cooler to keep all medical equipment at the right temperature, preventing some shelters may not have a refrigerator. Moreover, the considerations as to what we should take to the Way are common to all pilgrims: footwear suitable to the ground and preferably worn and comfortable clothing, light and suitable for the practice of sport. When the diabetic goes through the stages of the Camino, changes in blood glucose levels (as in all physical exercise) will occur. The Foundation for Diabetes recalls that it is necessary to measure the glucose level before, during and after the activity and also to perform a blood glucose control before going to sleep. If for all pilgrims it is important to always carry some food to eat while we walk (energy bars, sandwich, piece of fruit, cookies), it is even more so for a diabetic; To counteract hypoglycemia you have to carry foods like fast-absorbing carbohydrates containing sugars. Once each stage is finished, as with all pilgrims, you have to take special care of your feet, clean them, massage them and change your footwear through sandals to let them rest. Do not forget to hydrate, for which it is recommended to ingest about 3 liters of water per day, varying the amount depending on the weather conditions and the duration of each stage. The Foundation for Diabetes recalls that by eliminating glucose from the urine with hypoglycemia are more likely to dehydrate, so you have to drink more water than normal, which is always bottled. The consumption of light drinks and infusions is also recommended, always watching on the labels what carbohydrates are being consumed. Report How do you know if you are prepared to do the Camino? 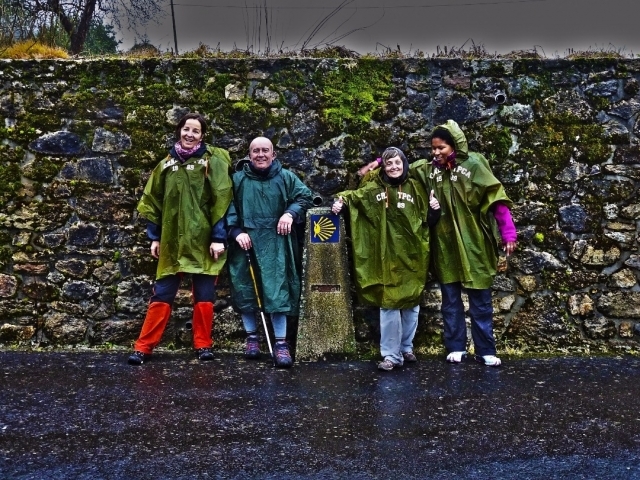 Report Why do the Camino de Santiago at Easter?